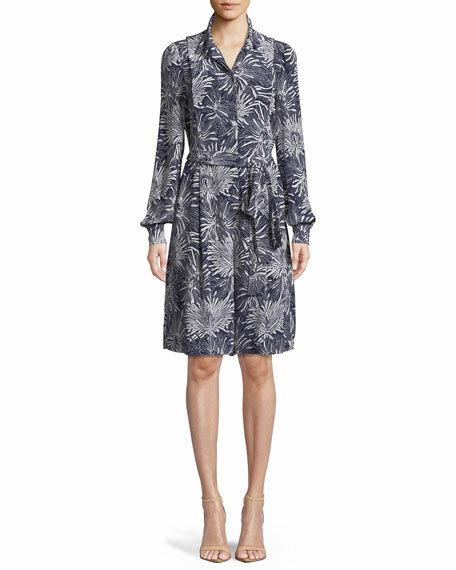 Diane von Furstenberg shirtwaist romper in bold floral print. 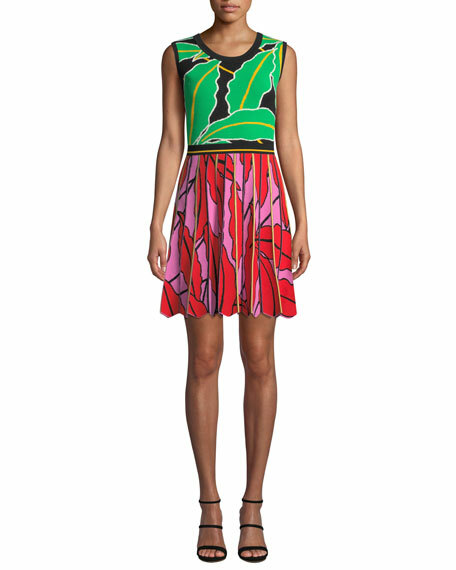 For in-store inquiries, use sku #2485220. 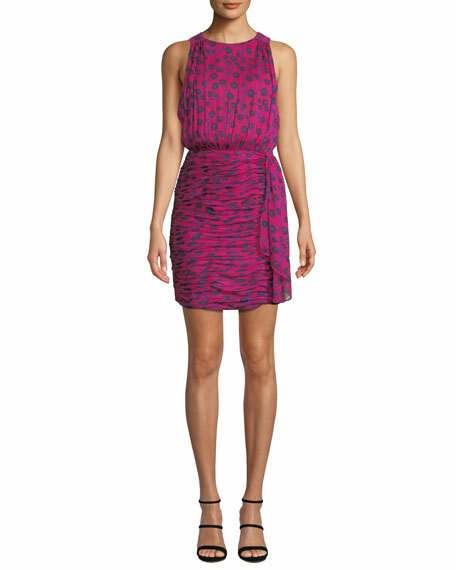 Derek Lam 10 Crosby striped romper. V neckline; button front. Long blouson sleeves. Side pockets; back patch pockets. Tonal adjustable belt. Relaxed fit. Step-in style. Cotton. Imported. 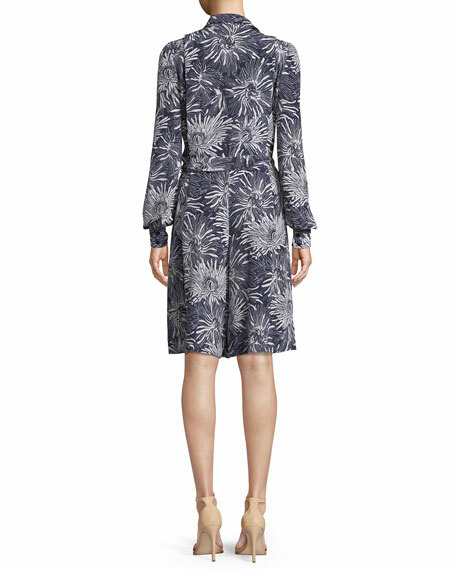 Diane von Furstenberg "Parker" dress in mixed leaf-print. Crew neckline. Sleeveless. A-line silhouette. Pleated skirt. Mini length. Scalloped hem. Slipover style. Viscose/polyester/rayon. Imported.